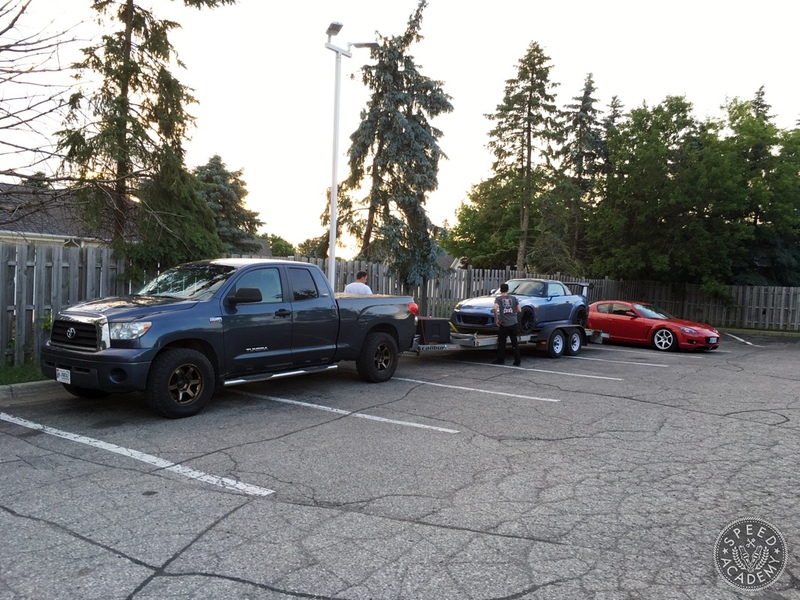 Our 2008 Toyota Tundra is basically the Speed Academy shop truck, although I also use it more or less as my daily driver too. Pete slapped some OE replacement brake pads on during his long haul down to Phoenix last winter to have his 930 Turbo engine rebuilt by TurboKraft and tuned by Tony at UMS Tuning, but the OE rotors are now officially toast and those replacement pads need to go in the garage too because they have as much feel as a bucket of lukewarm water and as much bite as a newborn baby. The table above, from government-fleet.com, shows the distances it takes an average car to come to a stop on dry pavement from different speeds, including the distance traveled during the 1-second it takes the average driver to perceive the need to stop and actually stomping on the slow-pedal (perception/reaction distance). I’ve looked at a number of other sources of data on this and these estimates seem to be a good median sample. These numbers also coincide pretty closely with the overall stopping distances we recording in our Tundra using an AiM Sport Solo data acquisition system. With the stock rotors and the “premium” replacement pads, I managed to stop the Tundra from 100-kph (62-mph) in an average of 245 feet. That’s a bit better than the data above when you consider we’re in a full-size pickup truck loaded with about 400-500 lbs of wheels and tires in the bed, but it’s in the same ballpark and I’ve had a lot more practice threshold braking than most people. 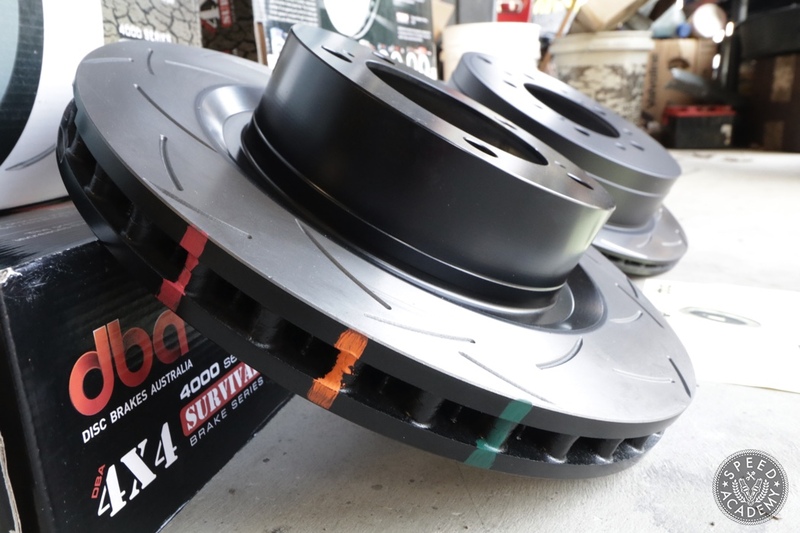 With the baseline testing complete, we headed back to our shop and swapped on some fresh DBA USA sourced 4×4 Survival Series 4000-series T3 rotors. 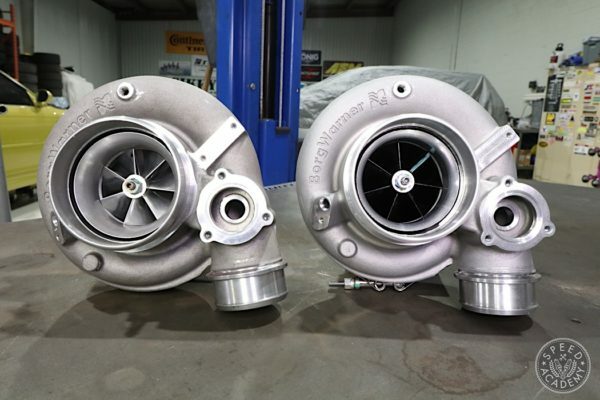 You can also get these in the less expensive T2 rotors from DBA, but since our Tundra does a lot of towing we wanted the added performance the T3 rotors offer thanks to the additional out-gassing ports and improved brake feel the Try-Symmetrical curve slots provide. We’ve also found in track testing on our Mustang that the 4000-series T3 rotors do an outstanding job of shedding heat thanks to their unique Kangaroo Paw ventilation system, and the XG150 high-carbon alloy iron used to make them has proven extremely durable with no signs whatsoever of warping or otherwise being unhappy about the pounding we put on them at the race track in a 3,500-lb muscle car with what are often regarded as undersized brakes. Those paint marks on the side are actually used for thermographic temperature monitoring, the colour changing permanently if the rotor exceeds specific temperatures so you can easily monitor rotor fatigue and decide on when to replace them. 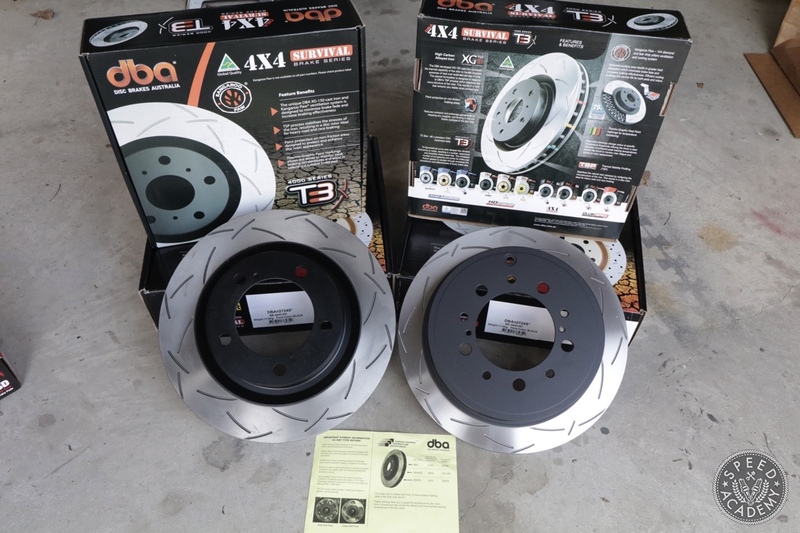 With a lot of steep descents through the mountains of West Virginia on the way to Virginia International Raceway, one of our favourite American tracks, having a set of serious rotors like these with thermographic paint marks will give us real peace of mind. For pads we opted for Hawk Performance SuperDuty Truck compound front and rear which were supplied by Turn14 Distribution. 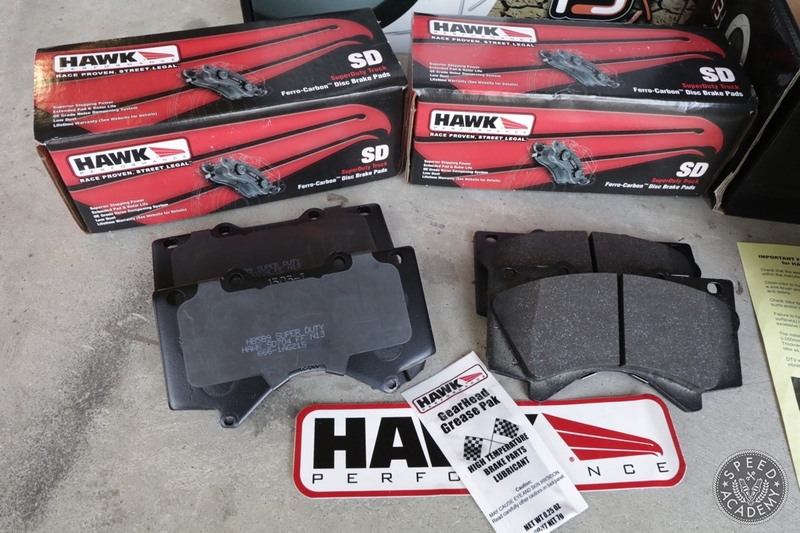 I’ve used Hawk pads on a ton of cars over the years, from my CTCC race-winning Civic on their DTC-70 race compound, to our S197 Mustang GT on their new DTC-50 track pad, to my wife’s daily driven Honda on HPS ceramic (low dust low noise) street pads, so it only made sense to give their SuperDuty Truck compound a try on the Tundra. 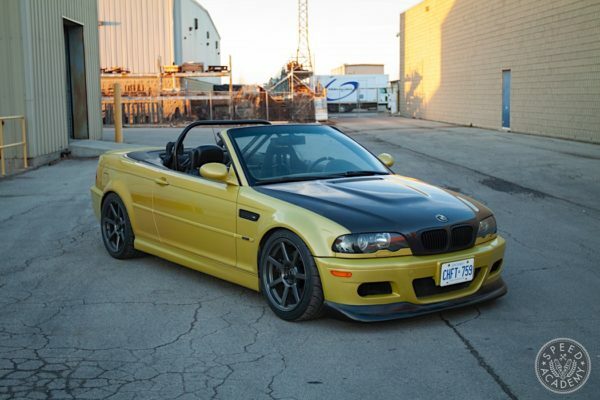 This pad is designed for street use, but has an impressive heat range of 100-750 degrees and features a unique Ferro-Carbon compound with an extremely high coefficient of friction and fade resistance, which is precisely what I want when towing. Before you go slapping this pad on your SUV, just keep in mind this compound was engineered for heavy-duty applications including military vehicles, so Hawk doesn’t recommend it for light-duty trucks or SUVs. Since we mostly use the Tundra for towing and hauling serious payloads, we think this pad is a good fit for our application but we’ll report back if we see any signs of unexpected pad or rotor wear. With the DBA rotors and Hawk pads installed, we bedded them in as per Hawk’s recommended procedure, let the system cool down, and then did a set of threshold stops from 100-kph, just like we did on the OE setup. The difference in stopping power was, as you’ll see from my reaction in the video below, rather startling! Suddenly our big, heavy Tundra was stopping like a sports car, with stopping distances feeling like they’d be cut dramatically, and that’s exactly what the AiM Solo data confirmed. 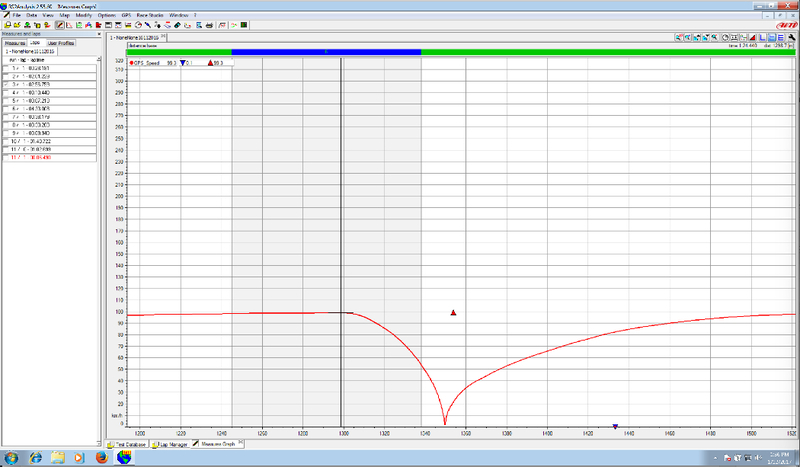 In fact, total stopping distance came down to 165-feet, so 75-feet shorter than the OE setup could achieve. 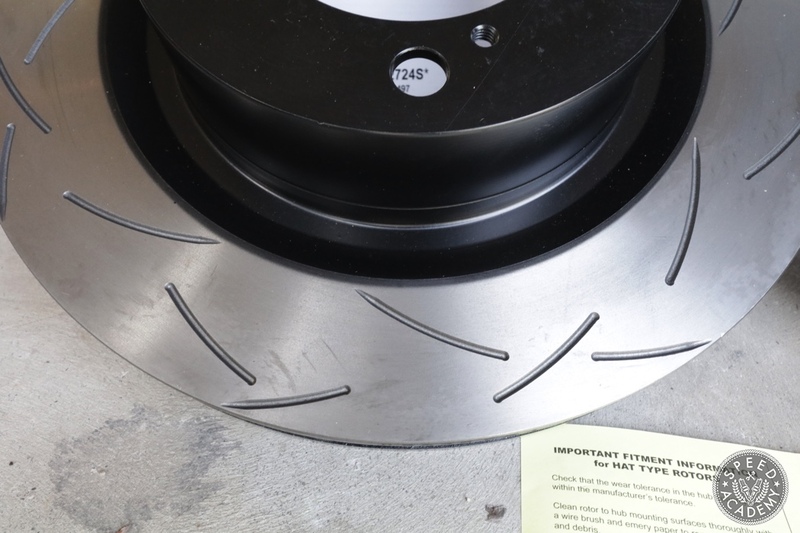 That’s a pretty astounding improvement from just rotors and pads, but when you factor in the higher coefficient of friction the Hawk pads provide and the added feel and bite the T3 slotted rotors provide, it’s not too surprising to me that stopping distance improved that much. 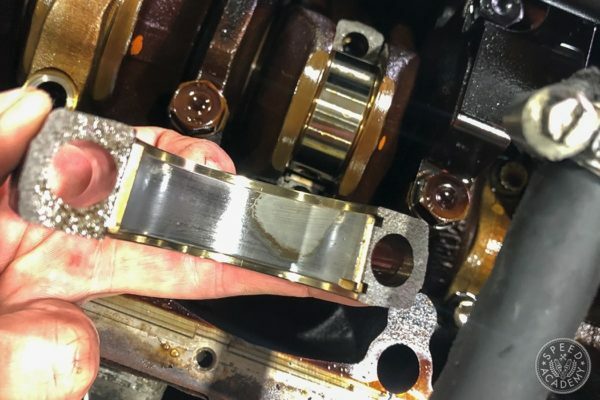 Typically OE type brake pads lack initial bite, as they’re trying to give the average driver as smooth and easy a pedal response as possible, but they sacrifice initial torque in the process. 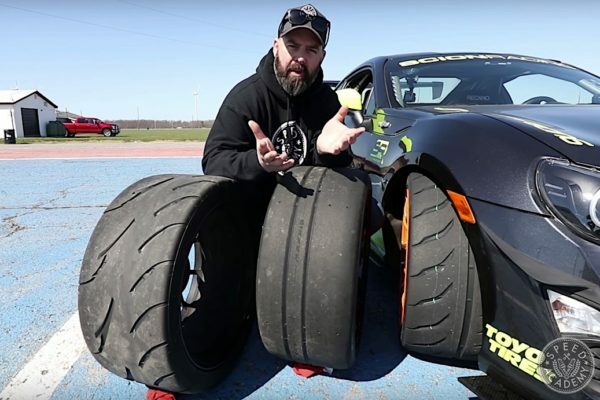 And without an aggressive CoF you just don’t get the overall stopping power either, which makes it really difficult to use all of the available grip from the big Toyo Open Country AT-II Xtreme tires we upgraded to. 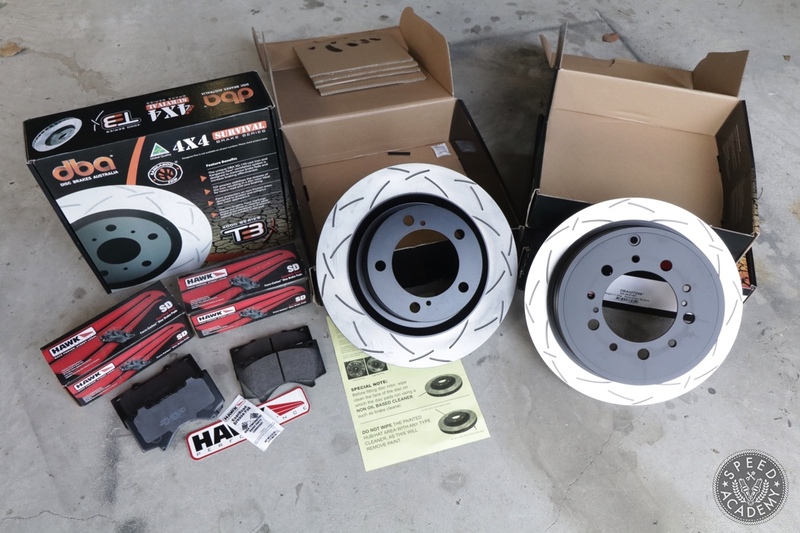 As you’ll see in the video above, I’m extremely pleased by the braking performance transformation that’s happened with this simple and affordable set of brake upgrades on the Tundra. The truck is now far more confidence-inspiring thanks to the additional stopping power, which will help me stay out of trouble in any emergency stopping situation. I also now have the peace of mind that comes with high-quality, high-performance components like these while putting the added stress of towing on the braking system. 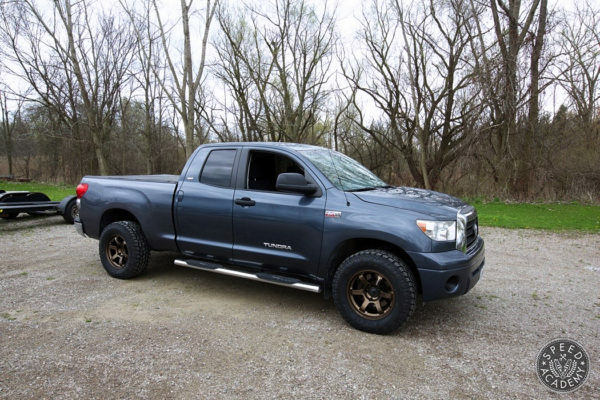 Now to just get the front ride height leveled out with the rear and maybe put a snarly exhaust system on it and I’ll really be in truck-guy heaven. I also have to thank Turn14 Distribution for coming through delivering these brakes components in record time because as the results show, the old brakes needed replacing asap and Turn14 came through!